The left physically removed Republican Vietnamese refugee state Sen. Janet Q. Nguyen for daring to question late Sen. Tom Hayden’s pro-communist Vietnam activism. Given that her family actually risked their lives to escape communism, you would think they would actually care about her opinion. 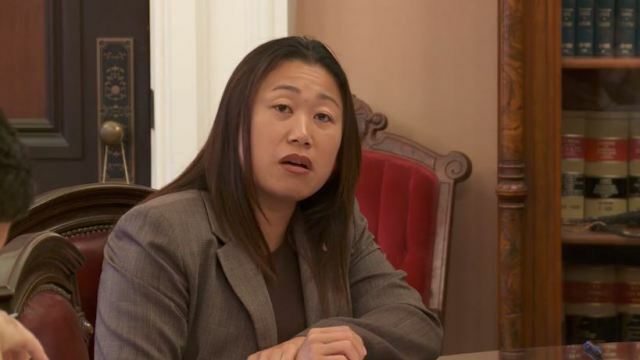 California state Democrats unwittingly created a new GOP star last Thursday when they forcefully removed a Republican Vietnamese refugee from the Senate chamber. That refugee was state Sen. Janet Q. Nguyen, whose family fled communist Vietnam during the early 1980s to escape the country’s harsh post-war conditions. According to the San Diego Union-Tribune, Nguyen had been trying to speak out on the floor last week against the late Sen. Tom Hayden’s pro-communist Vietnam activism. Hayden, who died in October, had been memorialized in the state Assembly a day earlier, and Nguyen merely wanted to offer a different — and perhaps more realistic — perspective on his legacy. She never had a chance to finish her speech, as she was interrupted by presiding Sen. Ricardo Lara (a Democrat, of course), told she was out of order and then forcefully removed after she refused to stop speaking, as reported by The Sacramento Bee. Apparently, liberals love communism so much that they are willing to throw out people who have actually experienced its terrors in an effort to protect their own viewpoint. Now all that’s left to do is set up a platform for Sen. Nguyen to give her speech to all of America and hopefully change some minds.